Since its inception in 2007, US-based Geringer Global Travel, experts in India and the Indian Subcontinent, serves discerning travelers and travel agents who are looking for personalized, expertly planned travel experiences. Company founder and President Susan Geringer specializes in customized tours to India, Bhutan, Nepal and Sri Lanka, tailoring each trip to travelers’ needs, wants and interests, whether it be adventure, art, architecture, cuisine, culture, festivals, luxury pursuits, religious observances, wildlife viewing, local customs or special immersion experiences. In fact, clients regularly cite the one-on-one experiences that Geringer arranges with local leaders, tastemakers and families as a highlight of their trip, lending a new perspective that delves below the surface into a deeper understanding of the intricacies of Indian society and culture. An ardent India enthusiast, Geringer has been traveling to the Subcontinent for years, extending her ever-growing network of contacts and always discovering off-the-beaten-path destinations, unique accommodations, superb restaurants and other hidden gems to enhance her clients’ experiences. Personalized attention is a trademark of Geringer’s trips, which all offer hours of personalized planning and consultation, a tailored itinerary based on client interest, hand-picked and vetted English-speaking guides, 24/7 concierge service and on-the-ground support. 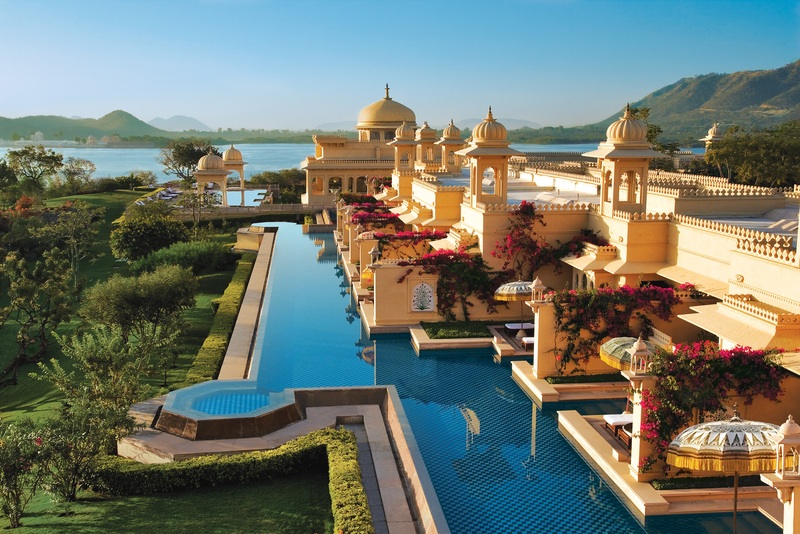 Her dedication to her clients has resulted in Geringer being continually rated a top-travel specialist to India by luxury travel referral service Zicasso. Though Geringer Global Travel prides itself on creating customized tours, the company offers many suggested itineraries to assist those undecided about where to travel. The majority of the tours focus on India, incorporating arranged visits to UNESCO World Heritage Sites, museums, palaces and religious shrines, guided city walks that include stops at bustling markets and bazaars, and meetings with local artisans, policymakers and aristocrats. One of the most enduring and popular tours is a variation of the Cultural Rajasthan itinerary, visiting India’s proud northern state, popularly known as “The Land of Kings.” Here, travelers can marvel at the juxtaposition between India’s ancient and modern world in the capital of Delhi, admire the beauty of the Taj Mahal in Agra, praise the stunning pink-tinged architecture and superb craftsmanship in Rajasthani capital Jaipur, explore the World Heritage preserved fort in Jaisalmer and discover the beauty of Udaipur, the ‘City of Lakes’. Inspired by her love of the Subcontinent, Geringer has also expanded beyond India to incorporate trips to Nepal, Bhutan and Sri Lanka, more off-the-beaten path destinations that contain no less a sense of personalized attention and immersive experiences than her India trips. The striking topography of Bhutan’s snow-capped peaks, verdant valleys, and sparkling streams is on full display during Geringer’s suggested Beautiful Bhutan itinerary, which winds through Thimpu, Punakha and Paro Valleys and includes a visit to the world’s famous Tiger’s Nest Monastery, a breathtaking site which has become almost synonymous with the image of Bhutan. Similarly, Geringer’s Return to Nepal itinerary emphasizes the beauty of that country’s varied landscapes and dramatic terrain, from the majesty of Kathmandu, to the wondrous wildlife of Chitwan National Park to the breathtaking Himalyan beauty of Pokhara. And, though separated from India by just a narrow strait, Sri Lanka maintains a distinctive personality of deep spiritual sensibility, captivating historical monuments and friendly people, all of which are emphasized in the Enchanting Sri Lanka trip. For those travelers with a niche interest, Geringer can arrange itineraries coinciding with popular events or specific activities. 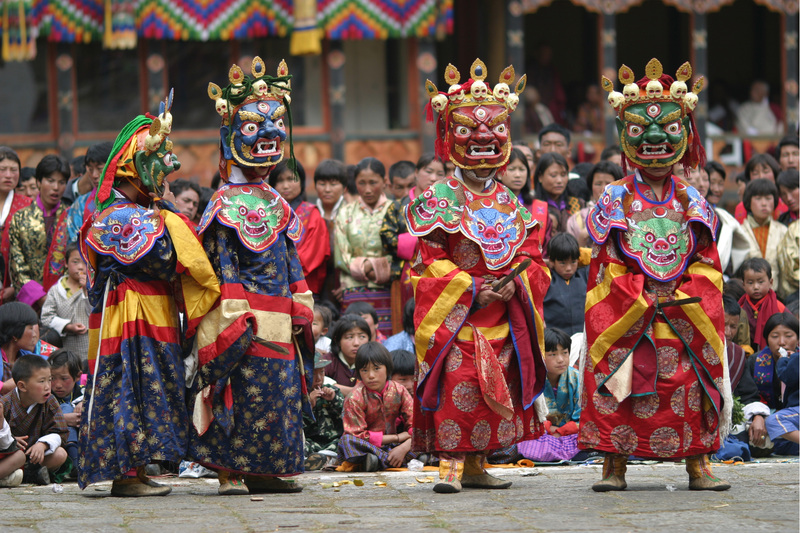 Take, for instance, the Art, Books & Culture Itinerary, which includes appearances at the Jaipur Literature Festival spotlighting all writers from Nobel laureates to debut novelists, or the Northeast India Tour with a visit to the Hornbill Festival, showing off the traditional arts of the diverse Nagaland tribes. The Orient Tea Tour celebrates India’s rich heritage as a mecca of tea production, with visits to some of the biggest plantations in Glenburn and Darjeeling, with first-hand instruction on the tea-making process and plenty of delicious tastings! An additional strength of Geringer’s trips are the knowledgeable tour guides, drivers and local hosts who can provide an insight into their country’s socio-political and economic environments that only enhances cultural communication. Any India tours that pass through Jaipur usually include a cooking demonstration and dinner with Thakur Durga Singh, the current custodian of Dera Mandawa Hotel who is descended from the royal Mandawa family and a font of knowledge on India’s history. Similarly, Geringer’s recent Exclusive Group Tour of Bhutan received additional prestige from being led by its own knowledgeable local, former UN Ambassador Lhatu Wangchuk. Travelers looking for a way to give back to the community can find ample philanthropic components in many of the itineraries, from hands-on volunteer work at India’s Kachen Dugyal Memorial Old Age Home to proceeds from a Nepal itinerary going to benefit the construction of a vocational school for teenage children. For more information about Geringer Global Travel, call 203-216-7106 or contact susan@geringerglobaltravel.com.